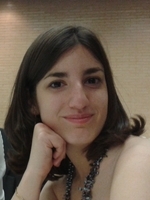 Lucía is currently undertaking a double degree in Biotechnology BSc at the Polytechnic University of Valencia and Applied Bioinformatics MSc at Cranfield University. She loved participating in the iGEM competition as she had a great opportunity to learn more about Systems Biology. Lucía likes learning new things, the most diverse as possible, and reading.